Dry, itchy, sensitive and inflamed skin. These are just a few symptoms of eczema, a skin condition that can turn your best day into a stressful one. Worrying about how to alleviate eczema is a concern with many answers. Thanks to Mother Nature, there are natural ways to help improve this skin condition. 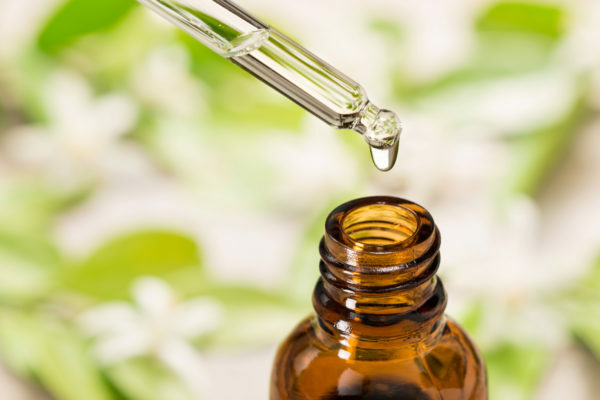 Let’s look at the best essential oils for eczema. As with all other skin care concerns, there is a multi-million dollar industry behind easing your eczema flare-ups. 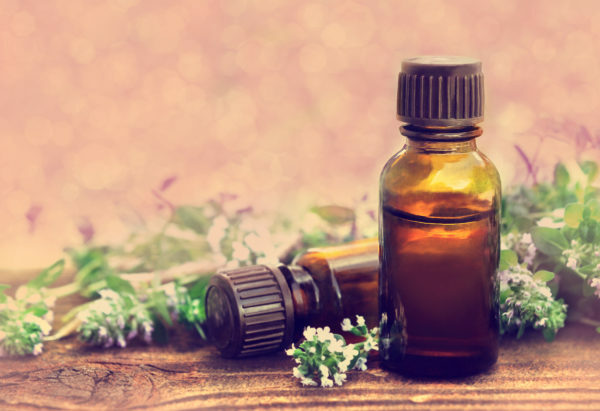 Going natural with the power of essential oils may be helpful as you navigate the aisles of options. These natural oils are popular for providing pain relief, reducing inflammation and reducing stress, among other things. You can find these natural oils extracted from plants through distillation or expression. 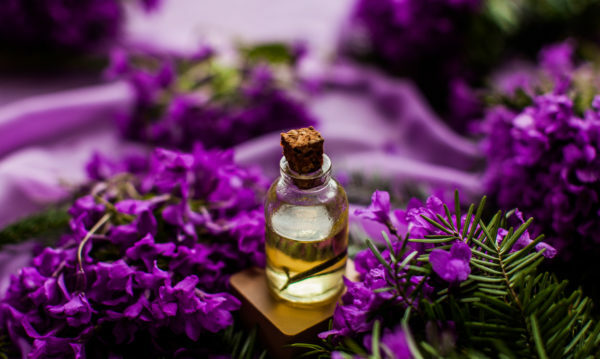 You’ll find essential oils commonly used in aromatherapy as well as cosmetics, soaps, and perfumes. Essential oils have been used for centuries for a wide variety of health concerns such as disinfecting wounds and soothing skin. They are known to have medicinal qualities that heal infections when applied to affected areas. We’ve researched the top 5 essential oils for eczema so you can stock your bathroom vanity and begin healing right away. One drop at a time and one day at a time, your skin is waiting for luxury. Tea tree oil, lavender oil, chamomile oil, thyme oil and lemon oil can offer just that. This 100% pure natural oil option is a powerful resource in combating eczema. Native to Australia, this plant extract is antiseptic, anti-fungal, antibacterial, antiviral and anti-inflammatory. Its anti-inflammatory properties make it an ideal option for treating the swelling and skin irritation that comes with eczema. 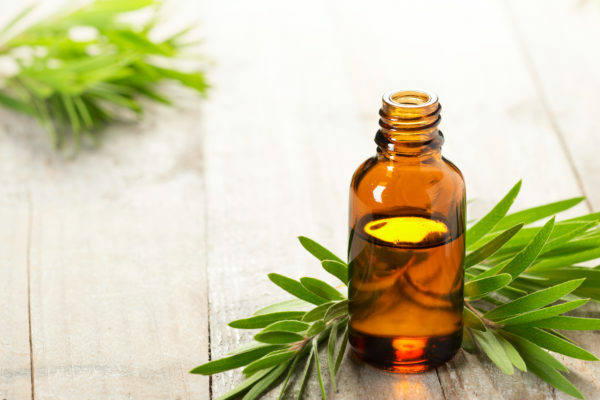 Tea tree oil helps relieve itchiness as well as soothes the skin. 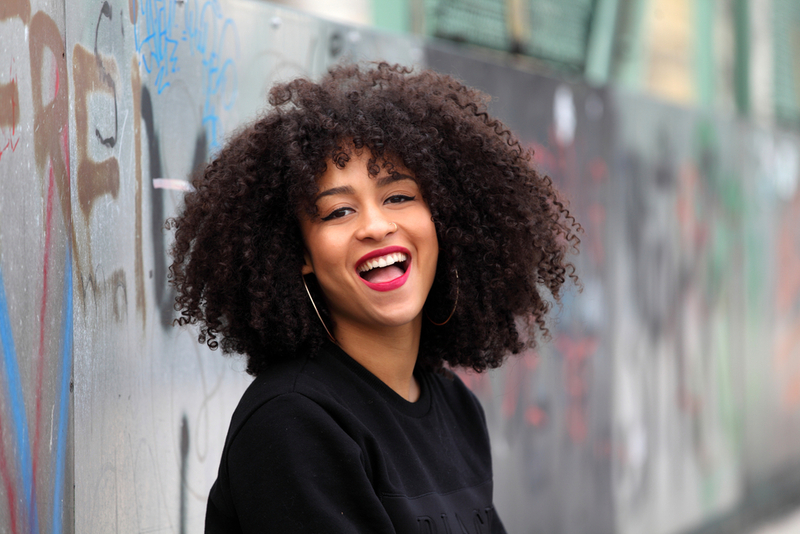 Its other popular beauty uses include treating acne, nourishing your hair and treating conditions such as lice and athlete’s foot. Tea tree oil is perfect for easing the pain of eczema. Lavender oil is known for its light fragrant smell and calming properties. It’s also good for your skin, as it helps to keep your skin clear from impurities. Lavender oil has all the properties of tea tree oil, with antimicrobial and serves as an antidepressant. It can help reduce the itching, swelling and redness that eczema causes. Since it is used for relieving pain and relaxing the body, lavender oil is an ideal essential oil for a combined effect of instant relief and spa-like relaxation. Everyone’s favorite bedtime tea can be your new favorite essential oil as well. Chamomile, like lavender, has a calming effect that soothes the skin. 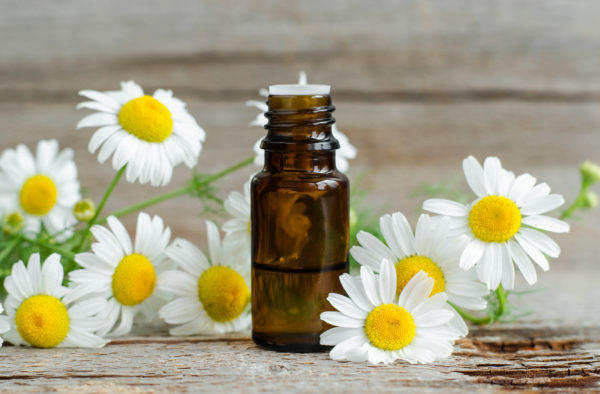 Chamomile oil helps reduce dry skin by adding moisture back into it. It promotes better skin health, it is commonly used to treat eczema as well as other skin issues that are slow-healing and is used in many skincare products. We best know thyme as a spice in our food. But as an essential oil, thyme has many benefits, including fighting bacteria. Thyme has many of the same properties of the previously mentioned essential oils.